Registration for the 2018PBL International Conference and the Pre-Conference Workshops is open. Please scroll down for a more detailed description of the pre-conference workshops. Cancel after January 15th: No refund. Todos os workshops serão em inglês. Partner Institution: FabLearn and the Transformative Learning Technologies Lab (TLTL) at Stanford University’s Graduate School of Education. Target Audience: Teachers and educational leaders who strive to integrate the principles of constructionism and maker education into formal and informal learning spaces. This workshop offers participants an introduction to FabLearn, an educational makerspace lab, a research collaborative, a global network, and a vision of learning for the 21st century. The workshop includes hands-on activities that allow participants to experience and reflect on how modern technology allows schools, libraries, community organizations, and other learning spaces to offer experiences to learners that are both intellectually rich and expressive. Participants will also have the opportunity to tour the Hasso Plattner Institute of Design, also known as the Stanford d.school, a place and a community where people use design to develop their own creative potential. FabLearn is a global network that disseminates ideas, best practices and resources to support an international community of educators, researchers and policy makers committed to integrating the principles of educational makerspaces and constructionist learning into formal and informal K-12 education. FabLearn is based on the work of Stanford University Assistant Professor Paulo Blikstein and the Transformative Learning Technologies Lab (TLTL), an academic research group within Stanford University’s Graduate School of Education. The intellectual roots of FabLearn extend back to the work of Seymour Papert and his collaborators at the MIT Media Lab. The original FabLab was conceived in the Media Lab at MIT by Neil Gershenfeld (with collaboration of Bakhtiar Mitkak) as a creative space for university students and was transplanted successfully to community centers and entrepreneurial hothouses around the globe. Similarly, FabLearn supports spaces called FabLearn Labs that serve pre-college youth world-wide. 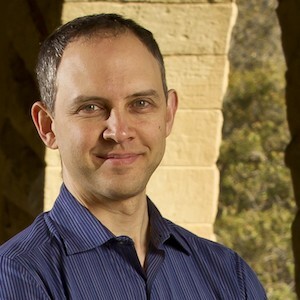 Paulo Blikstein is an assistant professor at the Stanford University Graduate School of Education where he directs the Transformative Learning Technologies Lab and the global FabLearn Program. Blikstein’s research focuses on how new technologies can deeply transform the learning of science, technology, engineering, and mathematics. 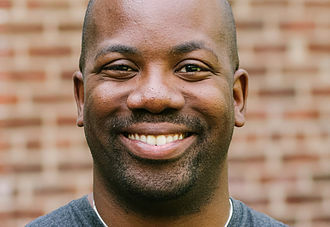 He creates and researches cutting-edge educational technologies, such as computer modeling, robotics, digital fabrication, and rapid prototyping, creating hands-on learning environments in which children learn STEM disciplines by building sophisticated projects and devices. He also focuses on the application of data-mining and machine learning for the assessment of hands-on, project-based learning. Blikstein was a pioneer in bringing the maker movement to schools, and started the first educational program around digital fabrication in schools, FabLearn Labs (formerly [email protected]). His group has built advanced digital fabrication labs and has conducted research in middle and high-schools in the US, Russia, Mexico, Spain, Australia, Finland, Brazil, Denmark, and Thailand. Paulo is also the Founder and Principal Investigator of the Lemann Center for Brazilian Education at Stanford, a 10-year initiative to transform public education in Brazil. A recipient of the National Science Foundation Early Career Award, and the AERA Jan Hawkins Early Career award, he holds a PhD. from Northwestern University and an MSc. from the MIT Media Lab. Making Space for Change: Participants in this Project Slice explore the driving question, “How can we redesign a public space to promote a social benefit?” Each team focuses on creating a plan for a public space (park, library, etc.) that facilitates a different goal, such as increasing opportunities for civil and democratic discourse, or enhancing public health and physical fitness. The Buck Institute of Education is a nonprofit organization dedicated to improving 21st Century teaching and learning by creating and disseminating products, practices and knowledge for effective Project Based Learning. BIE, headquartered in Novato, California, is recognized as a national leader in PBL and Active Learning Methodologies. 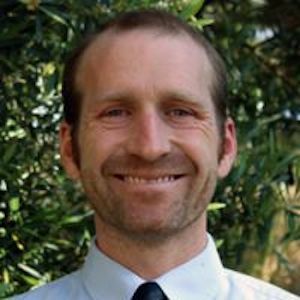 Originally from the San Francisco Bay Area, James brings over a decade of experience as a secondary classroom teacher and a PBL and technology coach in both private and public schools. James is passionate about supporting teachers of all experience and comfort levels by sharing experience from his own practice and helping teachers design projects that engage their students. In addition to being a member of the Buck Institute’s National Faculty, he is also a Google Certified Innovator, Educator and Trainer, a Common Sense Media Digital Ambassador, and a presenter at educational technology conferences across the U.S. James is a tireless advocate for experiential and place-based learning, and serves as a volunteer interpreter and guide for the U.S. National Park Service. James currently works and lives in the Minneapolis/St. Paul area as a technology integration trainer and coach at Hill-Murray School. Partner Institution: PBL Lab in the Department of Civil and Environmental Engineering, Stanford University, California. PBL courses have grown consistently over 20+ years at Stanford University and are now a significant component in multiple academic programs across schools. This workshop aims to expose and inspire participants by diverse PBL examples from the Stanford Graduate School of Education, the Stanford School of Engineering, and the Hasso Plattner Institute of Design (known as the Stanford d.school). We will discuss key principles of PBL formalized and implemented in the different programs and invite participants to develop ideas that connect those principles with specific needs and goals for courses and students at participant’s home institutions. Finally, participants will have hands-on experiences with some of the latest collaboration technologies and learning spaces that are being used to support innovative approaches to PBL. Over his 20-year career, Dan has worked with leaders and learners of all ages around the world to strengthen their innovation and design skills. While he has a particular passion for higher education, he has applied this approach to global companies, non-profit organizations as well as civic institutions. Building upon his graduate work in Learning, Design and Technology from Stanford University, Dan has taught design courses at Stanford’s Graduate School of Education. He also coached faculty, staff and students on using innovative pedagogies as Academic Technology Specialist at the Stanford Center for Innovations in Learning (SCIL) as well as Special Assistant to the Senior Vice Chancellor for Academic and Student Affairs at the University of Nebraska at Omaha. 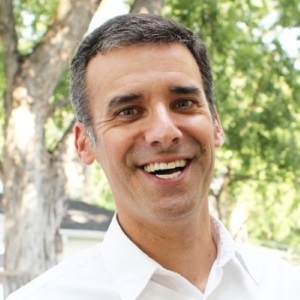 Most recently, Dan has served as the Chief Operating Officer of the Omaha Healthy Kids Alliance, a children’s environmental health organization that promotes green, safe and healthy housing for children and families in Omaha, Nebraska. Prior to his graduate studies and work at Stanford University, Dan worked with schools, museums, high-tech startups in Silicon Valley and also taught ESL in the United States and Japan. 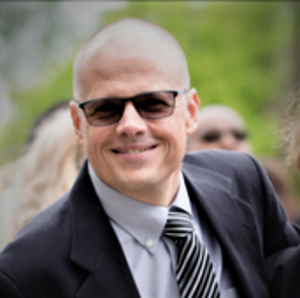 Beyond work, Dan enjoys spending time with his family, running marathons and coaching his local elementary school chess team. 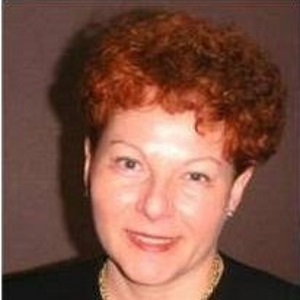 Dr. Renate Fruchter is the founding director of the Project Based Learning Laboratory (PBL Lab), lecturer in the Department of Civil and Environmental Engineering, and Senior Research Engineer thrust leader of “Collaboration Technologies” at the Center for Integrated Facilities Engineering (CIFE), at Stanford. She leads a research effort to develop collaboration technologies for multidisciplinary, geographically distributed teamwork, and e-Learning. Her interests focus on R&D and larger scale deployment of collaboration technologies that include Web-based team building, synchronous and asynchronous knowledge capture, sharing and re-use, project memory, corporate memory, and mobile solutions for global teamwork and e-Learning. In addition, she has established in 1998 a strong research effort focusing on the impact of technology on learning, team interaction, and assessment. She is the leader and developer of the innovative “Computer Integrated Architecture/Engineering/Construction Global Teamwork” course launched in 1993, at Stanford, that engages universities from US, Japan, and Europe. Dr. Renate Fruchter has received her Engineering Diploma from the Institute for Civil Engineering in Bucharest, Romania (1981), her MSc. (1986) and Ph.D. (1990) from Technion – Israel Institute of Technology. She has joined Stanford University in 1990. Technology Requirements: Digital Promise will provide the teams with Oculus VR headsets and Android phones. Participants will need to bring laptops and earphones. Yet learners can do more than consume content with these new technologies: they can also be creators. In the 360 Filmmaker Workshop, participants will be introduced to 360 Film and Immersive Storytelling in support of active learning. – Develop an Immersive Story Concept. – Pitch story concepts and make a production plan. – Learn about the use of the 360 VR Camera. – Create a 360 Film in one shot in the surrounding area. – Review footage workflow and transfer footage from camera to computer. – Export one-shot film & save videos to each phone. – Watch all films and provide peer feedback. Digital Promise is an independent, bipartisan nonprofit, authorized by Congress in 2008 as the National Center for Research in Advanced Information and Digital Technologies through Section 802 of the Higher Education Opportunity Act, signed into law by President George W. Bush. With an initial Board of Directors recommended by Members of Congress and appointed by then U.S. Secretary of Education Arne Duncan, President Barack Obama formally launched Digital Promise in September 2011. Startup support came from the U.S. Department of Education, Carnegie Corporation of New York, William and Flora Hewlett Foundation, and Bill & Melinda Gates Foundation. Since then, Digital Promise has grown rapidly with additional funding from both original and new funders. Digital Promise works at the intersection of education leaders, researchers, and entrepreneurs and developers to improve learning with the power of technology.Digital Promise remains passionately committed spurring innovation in education to improve opportunities to learn. Since 2001, Dimitri has worked at Columbia College Chicago, Youth Speaks, Bay Area Video Coalition, Mill Valley Film Festival, SF Sketchfest, Illinois Leadership Seminars and Free Spirit Media, where he learned how to breakdown, organize and produce projects of all types. He graduated from Columbia College Chicago with a BA in Film and Video Producing. Team-based learning is an inquiry-based pedagogy that has many similarities to PBL. Knowledge of TBL, however, can actually enhance PBL. TBL provides guidance on class structure, encouraging students to come to class prepared, and an alternative to problem design. This workshop will be very practical and very hands-on: attendees will learn how to structure a class, ensure their students are prepared for class, and design a TBL application exercise. Mark A. Serva is an associate professor of management information systems at The University of Delaware. He has published numerous articles in the areas of e-commerce trust, latent growth modeling, and the improvement of student learning. He is also the recipient of many teaching awards, including the Lerner College’s Outstanding Teacher. Dr. Serva is the former director for UD’s Institute for Transforming Undergraduate Education, a leading advocate for the integration of student-centered pedagogies into higher education. He is currently serving as the secretary on the PAN-PBL Executive Board. He is a well-traveled educational consultant, having conducted PBL workshops on five continents.